Shopping for the perfect necklace, bracelet or pair of earrings in Rockford? 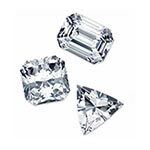 Visit our store and shop our wide selection of diamonds, pearls and more! 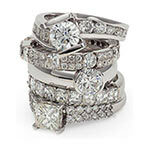 As a local jeweler, we understand that unique, beautiful jewelry is what you’re looking for – and we’re here to help. Enjoy a relaxed shopping experience searching for the perfect accessory. Our experienced, non-commissioned sales staff is available to help you at any time. Create a piece of custom engraved jewelry with a personalized message. 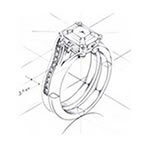 Zavius offers jewelry engraving on a variety of products from custom engraved necklaces, rings and bracelets; we offer engravable jewelry for her, for him and for children. Create a unique piece of jewelry for the perfect gift. 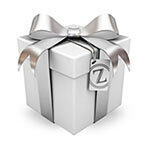 At Zavius Jewelers we take special care of your repair whether it be a piece of jewelry or a favorite watch. 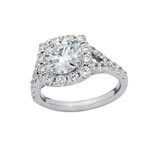 All jewelry repairs are done in our store by our very own expert jewelers. Zavius Jewelers changes batteries and completes minor watch repairs in-house. Customers in need of major watch repairs will be provided an estimate. Once approved, repairs will be completed by our qualified watch repair specialist.